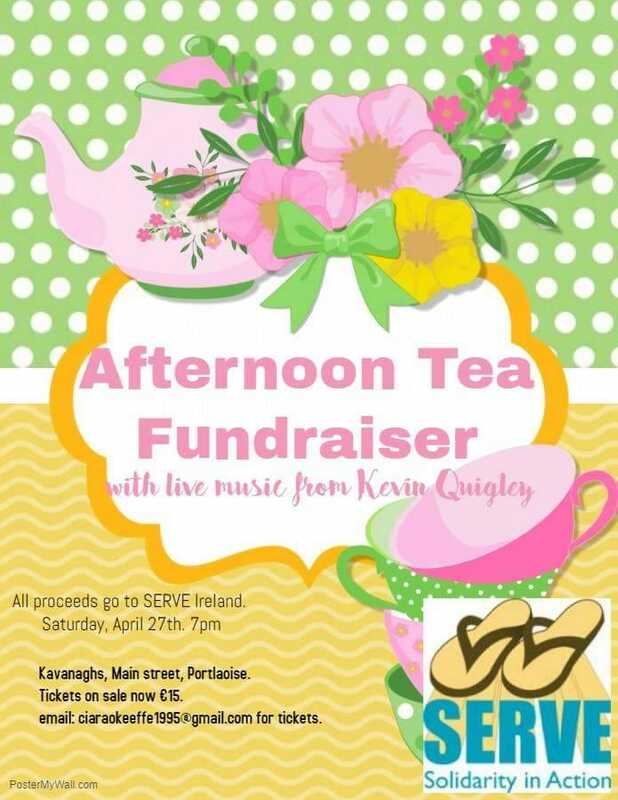 A talented Laois pastry chef who knows how to make the best tasty treats is hosting an afternoon tea event in Portlaoise to raise funds for her upcoming trip to Cebu, Philippines with SERVE Ireland. Portlaoise woman, Ciara O'Keefe, is 23 and hopes to help the people in Cebu, Philippines to tackle poverty by volunteering with SERVE. Ciara needs to raise almost €3,000 for her volunteering trip and is calling on the community to get behind her tasty fundraiser in Kavanagh's Pub, Portlaoise on Saturday, April 27. "As a pastry mad person, it seemed fitting to host an afternoon tea event unlike any other with a delicious selection of handmade desserts using the best Irish ingredients, secret recipes from the famous Nana herself. We will also have a savoury buffet on the night with delicious bread which was kindly donated by my favourite bakery in Laois Mueller & O' Connell Bakery," Ciara said. There will be live music with Kevin Quigley and a raffle with great prizes donated by local businesses. Tickets are €15 and will be limited due to the nature of the event. Email ciaraokeeffe1995@gmail.com for tickets. All proceeds go to SERVE Ireland. Go to give.everydayhero.com to help Ciara's online fundraiser which has raised over €800 so far. SERVE is a development and volunteering organisation tackling poverty in the majority world. They strive to do this by working in solidarity, service and partnership with marginalised and oppressed communities, empowering them to tackle the root causes of poverty and injustice. SERVE focuses specifically on programmes and projects that help communities enhance the lives of children and young people and recognises that gender equality is pivotal to achieving justice, equality and sustainable development. Ciara will be doing a variety of different fundraisers over the coming months ahead of her trip to Cebu.